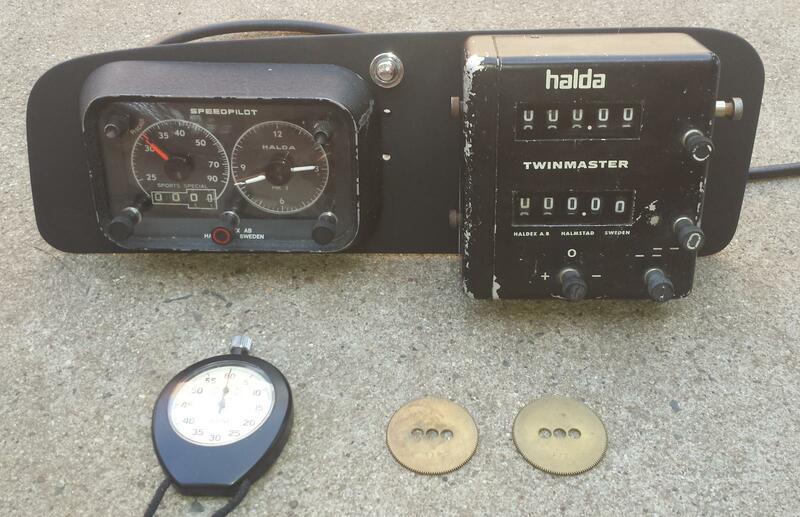 a halda twinmaster and speedpilot setup for a 58-67 Australian spec beetle. + a period swiss stop watch and the spare calibration gears to match the twinmaster to the rally setters mile. into the back of the twinmaster. it uses 5 clips and 2 drive pins. I haven't checked the calibration on the road but from calculations I've fitted a 136 X gear and 39 Z gear for 165/80/15 tyres. please note if you are cutting in a speedpilot, don't line it up with the bottom of the glovebox lid or it will sit crooked in the car... guess how I found that out.